This Irish baby bib features a sheep that is enhanced with shamrocks along with a humorous message. 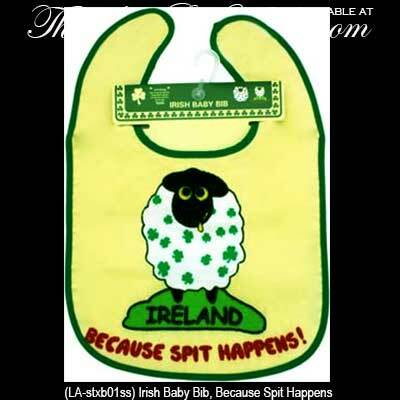 This Irish baby bib features a sheep with shamrocks along with a humorous message. The yellow cotton Irish bib is enhanced with a Velcro closure along with Kelly green trim. This Irish baby gift is made in Ireland by Liffey Artifacts and is received with a shamrock history card, complements of The Irish Gift House.